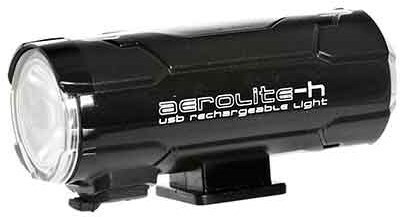 The compact Moon Aerolite H rechargeable front bike light is an innovative system for commuters and regular riders. Delivering a maximum 100 lumen output from the Cree LED you will mark your presence on the road. Side visibility is enhanced by removing parts of the shell around the high precision optical lens. You will be safer when approaching junctions and crossings with visibility from multiple angles. There are 6 brightness modes you can flip between. This allows you to optimise brightness for the conditions you’re riding in. Use Flashing and low during the daytime, then Overdrive and High for after hours riding.